Tailored service to optimise vehicle section and formulation methodology. 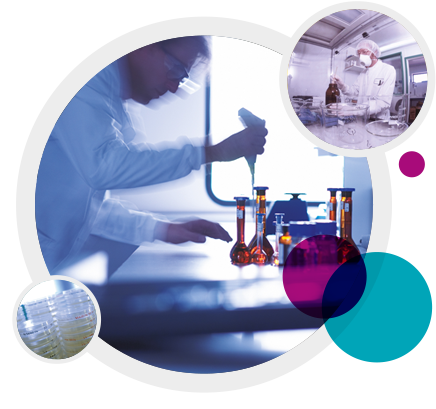 We offer a bespoke formulation development service to optimise vehicle selection and formulation methodology with a focus on the requirements for toxicology studies. With our long and extensive experience in conducting these studies and our in-depth understanding of vehicle tolerability, we are ideally placed to develop the right formulations applicable to the special needs of dosing to non-clinical species. Our services range from simple vehicle trials, to select the most appropriate vehicle from a selection of commonly used solvents and suspending agents, to detailed, bespoke, experiments to optimise vehicle selection and formulation methodology. These can be combined with our formulation analysis and bioanalysis services for assessment of achieved concentration, stability, homogeneity and absorption/bioavailability. We have particular experience in the development and analysis of dietary formulations.